Welcome to Florida d' Signs in St. Pete Beach, Florida! We are your single source for a wide variety of high quality, custom signage, visual communications and displays. Indoor and Outdoor Signs, Posters, Banners, Vehicle Wraps & Vehicle Graphics, Decals, Web Sites, Graphics and Bumper Stickers ! Florida d' Signs is your one-stop sign shop serving Treasure Island, South Pasadena, St. Petersburg Beach, Sand Key, Madeira, the Redington Beaches and all of Pinellas County in Florida. Florida d' Signs is a locally owned and operated company located in on the Gulf Beaches in West Central Florida. 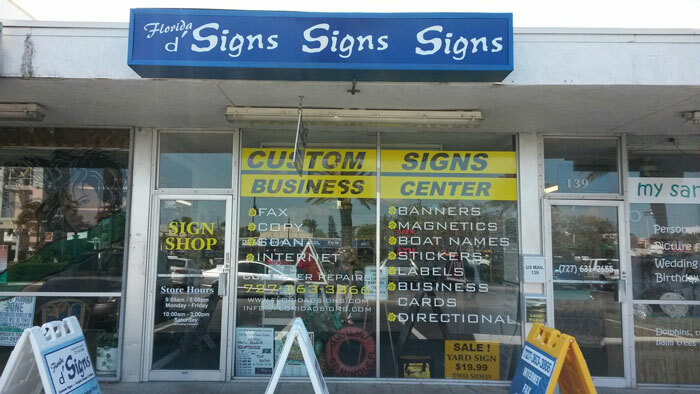 With more than 16 years experience, Florida d' Signs specializes in custom outdoor and indoor signs, banners, store fronts for businesses, reproduction of boat, car, and truck graphics, code approved signs for the fire protection industry including: fire alarm, fire sprinkler, and fire suppression systems. With cutting edge equipment and leading graphic design capability, Florida d' Signs is your one-stop sign shop. Florida d' Signs will have your business looking professional in as little as 48 hours! If you are like many entrepreneurs, starting a business can be a dream come true. However, along with that dream comes the need to have a professional company representation. That's where we come in. 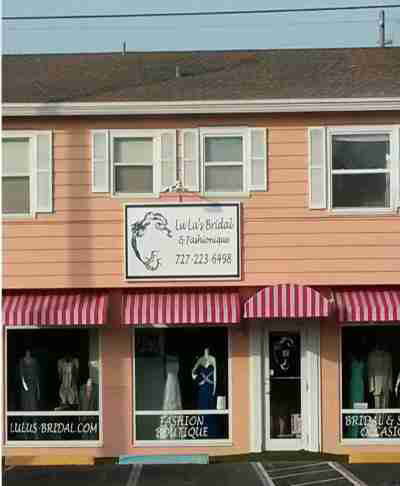 Florida d' Signs offers complete one stop shopping for design and installation throughout the Treasure Island and beaches area. From business cards / logo design to website creation, we provide it all in one package. Let us brand your business. Florida d' Signs is full service banner and signage company located near Treasure Island Florida. We serve the Treasure Island Florida area including but not limited to: Clearwater, St. Petersburg, Pinellas Park, Largo, Seminole, Madeira and the Redington Beaches for Indoor and Outdoor Signs, LED Signs, Posters, Banners, Vehicle Wraps & Vehicle Graphics, Emblems, Decals, Web Sites, Graphics and Bumper Stickers! If there is something else that you would like us to create for you, just give us a call. Florida d' Signs in St. Petersburg Beach, Florida will design build your outdoor sign in as little as 48 hours! With more than 16 years experience, Florida d' Signs specializes in custom signs, banners, store fronts for businesses, reproduction of boat, car, and truck graphics and code - approved signs for the fire protection industry.